In November 2011, I was awarded First Prize in the Taylor Wessing Photographic Portrait Prize at the National Portrait Gallery in London for this portrait of Harriet and Gentleman Jack. Thirteen-year-old Harriet was volunteering as a steward in the guinea pig judging enclosure at the Royal Welsh Agricultural Show. 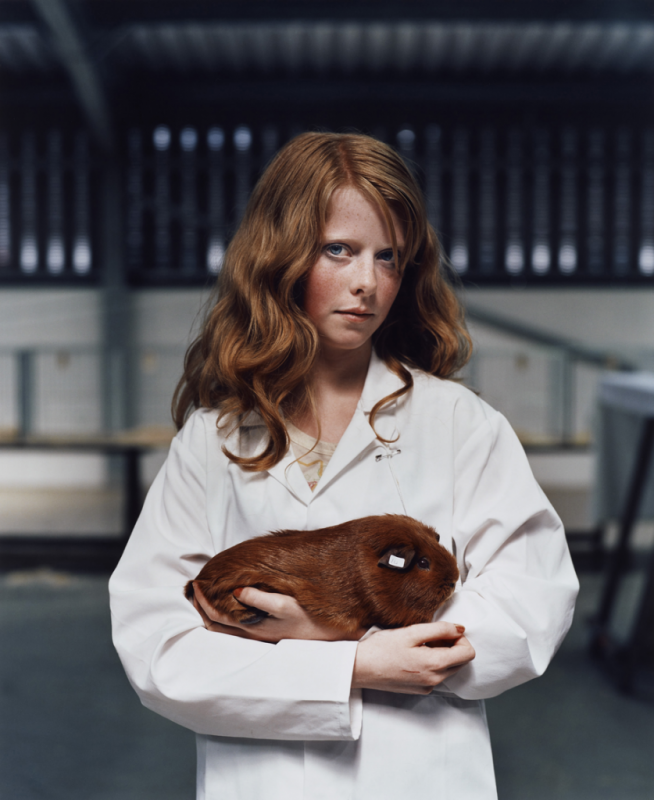 She is pictured holding her own pet – a pink-eyed golden cavy – named Gentleman Jack after the Jack Daniels whiskey box in which he was given to her. Shot using a Mamiya RZ medium format film camera, using natural light, I took just three frames, this being the first. I studied Graphic Design, specialising in photography at Camberwell College of Arts, London and am currently working as a freelance photographer, based in the UK. Commissions include The Photographers’ Gallery, London and The Museum of Modern Art, Wales. I was the winner of the Photography Award in the 2012 London Awards for Art and Performance and a winner in the Magenta Flash Forward – Emerging Photographers 2012, Canada. I have been featured this year in the AOP Open Awards and the Foto8 Summershow in London. I have previously been Highly Commended on two occasions in The Observer Hodge Photographic Award, London.